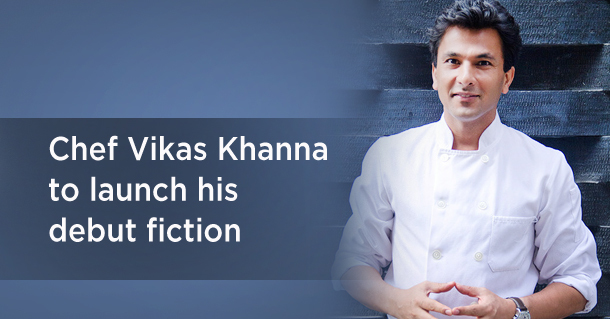 Celebrated chef and Michelin Star awardee Vikas Khanna launched his debut fiction, titled The Last Color. The author of more than 10 luscious books about food and culinary art is all set to try out this new recipe of spicy fiction. “I first saw the widows of Varanasi in 2009 when they were prohibited from playing Holi, and then later in 2012, when I saw the white widows drenched in the colours of Holi. The image haunted me; I could not forget the image sight of their joyous abandon. It was not about the colour, it was about the transformation of society. It touched me so deeply that I wrote a book about them.” He adds, “The Last Color is a story of an unlikely friendship, of promises kept, of taboos broken and the victory of the human kind”, says Khanna. The book along with the trailer of the motion picture adapted from the same starring Neena Gupta in the lead is being released on May 9, at the 2018 Cannes Film Festival.